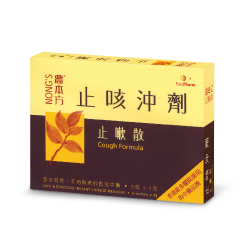 Nong’s® Flu Formula can effectively soothe flu symptoms including headaches and fever, nasal congestion, running nose, turbid phlegm, dry and sore throat, thirst and muscle pain, etc. It can also heal and prevent one from getting flu symptoms. This formula is extracted from the Systematic Differentiation of Warm Diseases (溫病條辨), a text written by Wu Ju Tong (清代醫學家吳鞠通), one of the most renowned practitioners of the Qing Dynasty. He invented many formulae, which have been passed on from generations to generations up till this date. 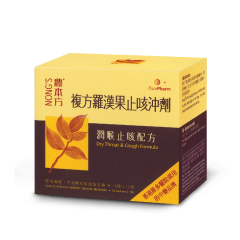 This flu formula has been proven effective through numerous clinical usages and venerated by later practitioners as the effective flu formula.